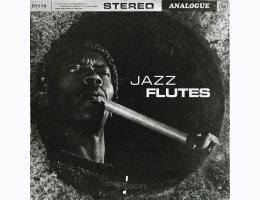 Jazz Flutes is the finest collection of jazz flute samples and guarantees to offer endless levels of inspiration each and every time. Performed, recorded and produced by the outrageously talented session musician Renato Bianucci, each loop captures the true essence of jazz and is just asking to breath fresh life into your compositions, irrelevant of genre and style. With each loop coming in at 4, 8 & 16 bar phrases, the opportunity for re-sampling, chopping or mixing is endless. From quick trills to legendary 60’s style phrasings, dub tinged licks to long evolving legato phrases Touch Loops ensure no stone was left unturned in getting that authentic vibe that only a world class session musician can provide! Each beautifully recorded loop offers an amazing palette for mixing and processing. From astral inspired jazz hip-hop to classic Skream inspired Dubstep, classic Deep House to Funk & Soul the options really are endless and we just know you’re going to find these truly inspiring. So, if you’re looking to add that fresh feel of an amazing session musician to your music then this ones for you and as usual, they’re mixed and processed in that classic Touch Loops style.